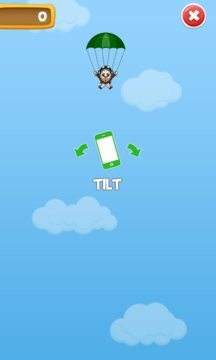 Simple and addictive tap-free plummet! Just don't crash. 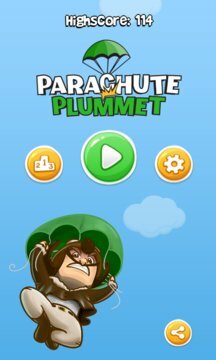 Parachute plummet is an amazingly simple game that doesn't require the use of tapping or buttons, which means anyone can enjoy it! Help the parachutist from plummeting to his death. He packed his parachute, but he didn't plan on all of these obstacles in his way! Play against your friends and see who can keep him alive the longest! Sign into Facebook to see how you compare to your friends and everyone else playing the game!